Two Colgems alumni share December 30 as a birthday, and they are two of the biggest stars that were on the label. 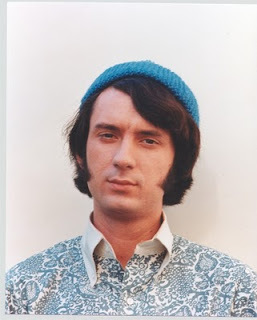 Davy Jones and Michael Nesmith--one half of the Monkees--were each born on this day. Davy was born December 30, 1945 in Manchester, England, while Papa Nez was born December 30, 1942 in Houston, Texas. Through an incredible stroke of luck and talent, both wound up as members of the Monkees, along with Micky Dolenz and Peter Tork. So, here's a toast to Davy and Mike--good luck on your birthday, and may you have many, many more! 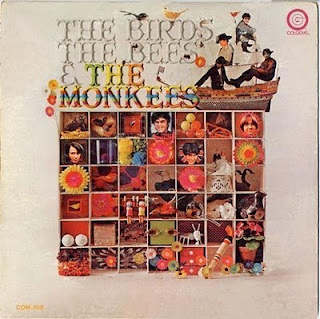 "The Birds, the Bees and the Monkees" was the Monkees' fifth album, and the first not to hit No. 1 on the Top Albums chart. It still managed to hit a lofty No. 3, as the LP that spanned the TV show's demise and the move into a full-length film. It is also the last Monkees album to be released in true mono (more on that in a minute). The LP was pretty much a step down for the foursome, as it was a hodgepodge of songs from various sources. "Produced by the Monkees," or so it says, the album included two of the biggest hits in the group's career--"Daydream Believer" and "Valleri"--as well as some creative tunes, like Mike Nesmith"s "Tapioca Tundra" and "Magnolia Simms," with the built-in scratch on the record. 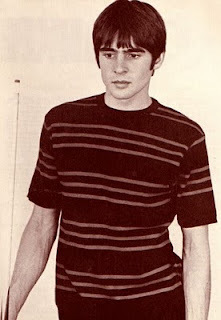 But it also featured some clunkers, including Nesmith's "Writing Wrongs," one of the most tedious tunes in the entire Monkees' canon, and "We Were Made For Each Other," not one of Davy Jones' better Monkee moments. And where is Peter Tork on this recording? He is on some of the tunes--"Daydream Believer", for one--but that is it for his contributions. There are several different mono versions of this album that were released around the world. Several months ago, I posted what I thought was the true mono mix of this album, only to find out that it was the stereo turned to mono mix that was used in England and elsewhere. Over the past several months, I have searched around for an actual copy of the U.S. mono release, to no avail. As you probably know, it is quite scarce. Very recently, someone was offering this on eBay for more than $500, which is way out of my budget. So the tracks that I have uploaded for this LP were sent to me by someone. I am not sure if it is the true U.S. mono, but alas, other than the British mono, it is all I have. You can access this recording at http://launch.groups.yahoo.com/group/albumania/. If someone has the true U.S. mono, and would like to share it with us, please contact me first at l_lapka@yahoo.com. And if anyone is interested in selling their copy cheap, speak to me first. Next month, we will have the stereo recording, direct from the record. (P.S. : The very next day after posting this, I received several emails from fellow Monkeemaniacs and Colgems fans stating that the mono mix I uploaded was the genuine, honest to goodness, U.S. mono mix, and one respondent said I actually posted the master recordings. I subsequently uploaded the mono LP, directly from the vinyl, at http://launch.groups.yahoo.com/group/colgems/. It was sent to me by a fellow Monkees fan.